Author: Grady, Patrick Set In . . . Description: A Hemingway-esque adventure that even Hemingway might have declined! After getting sacked from his job as an accountant, Bob Wayne leaves behind two ex-wives, four kids and a hurt girlfriend and goes looking for adventure in the tropical country of Belize. 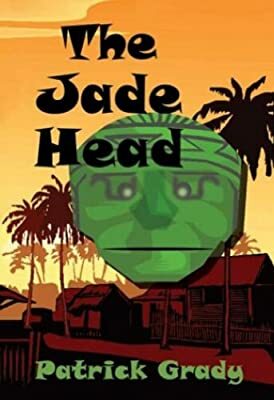 In between deep-sea fishing and snorkeling in the warm, turquoise blue waters of the Caribbean, he learns about a famous Mayan jade statue of the Sun God, Kinich Ahau. Together with a mysterious American planter and an exotic Creole beauty, Bob gets caught up in a risky adventure that sets his life on a dramatically new and unexpected course. Meanwhile, back home in a small town in Illinois, his girlfriend Donna has a few adventures of her own that Bob never could have imagined. Accompanying Bob Wayne on his suspenseful, but humorous, path to a surprise ending, you will glimpse the beauty and romance of the tropical paradise of Belize, as well as its darker underside; and you’ll learn about the Creoles, Mestizos, Garifunas, Mayans and even the Mennonites who live there. Patrick Grady, who now lives in Canada, grew up in Danville, a small town in central Illinois, rather like the Loganville portrayed in this book and in his first novel Through the Picture Tube. One cold and icy winter many years ago, he went to Belize on the first of many business trips and fell under that country’s tropical spell. The only way he was able to break free was to let his imagination run wild with the sights and sounds he encountered there, and to write this enchanting tale. It is something completely different from his other writings as a professional economist, which includes five books and over one hundred articles in journals, magazines and newspapers.